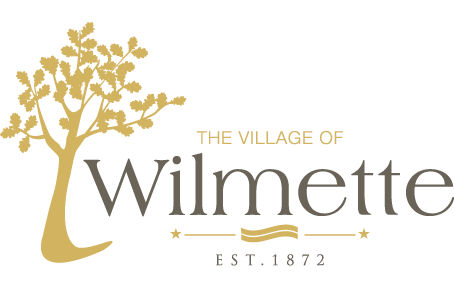 (April 10, 2019) –The Village of Wilmette Board of Trustees is committing to a long-term strategy to proactively address its public safety pension challenges in an innovative, manageable and sustainable way. At its April 9 meeting, the Village Board adopted the new policy that will implement an open 15-year rolling amortization schedule for its police and fire pension funds. The Village’s new course will save a projected $38 million in pension contributions between now and 2040 and minimizes the long term impact to property taxpayers. It also ensures the Village has the resources necessary to address other critical needs, such as infrastructure. Prior to this change, the Village’s pension contributions were projected to increase by an additional 80% to more than $9 million in 2040. While the Village’s new plan will require additional contributions to the pension funds between 2020 – 2023, future contributions will be less and are projected to stabilize. As structured, the Village’s new pension funding strategy should result in an 80 – 90% funded level by 2040, a strategy that is recommended by the Society of Actuaries. Because the Village’s strategy will make future pension contributions more manageable while paying down each fund’s unfunded liability, it is also preferred by bond rating agencies and will be an important component in seeking to retain Wilmette’s Aaa bond rating, the highest possible rating. This rating is important because it helps minimize future debt costs and thus provides relief to taxpayers. Public safety pension benefits are determined by the Illinois General Assembly. Police officers and firefighters contribute on average 9.7% of their salaries to the pension program, and along with investment returns, the Village and its taxpayers are responsible for funding the remainder of the pension program. Since the late nineties, when the Illinois General Assembly enhanced public safety pension benefits, the Village’s annual pension contributions have increased over 750% to $5 million, while the funded position of the funds have gone from being over funded by almost $3 million to underfunded by more than $56 million. State of Illinois law requires that all police and fire pension funds be at least 90% funded by 2040, and legislation is anticipated to extend this timeline to 2050. The State deadlines are arbitrary dates that are not based on sound actuarially analysis, and as such, have created unsustainable pension requirements for Illinois municipalities.